First thing's first; I love your coat. It reminds me of the white coat Meghan Markle wore when announcing her engagement to Prince Harry. I would like to get one myself - then I would wear it everyday and be known as 'The Girl in the White Coat.' Where did you get yours? Anyway, I digress. The reason I am writing to you is because I want to say thank you. After experiencing a difficult time I found myself feeling a bit rubbish (not even shopping could make me feel better...I KNOW!) 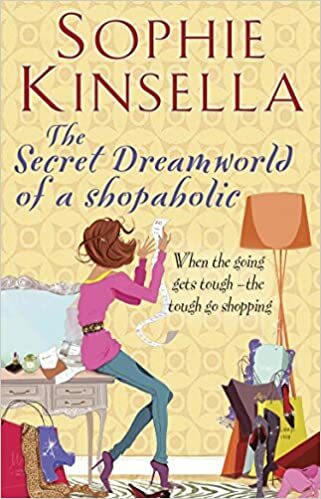 and despite having a bigger To Be Read pile than your ever-growing VISA bill I decided that I would re-visit my old friend Becky Bloomwood and rediscover my love for the Shopaholic series of books. So that's exactly what I did. Picking up The Secret Dreamworld of a Shopaholic was like catching up with my best friend after a two year gossip drought (in other words, fun, exciting and extremely satisfying) and in a way this is exactly what it WAS. I just know that we'd be best friends in real life and bond over our love of Whistles and designer handbags. And that time you put that you could speak fluent Finnish on your CV because it looked good and then ended up being offered a job interview with the Bank of Helsinki...I completely understand why you did it. You have reassured me that we're all human, no one is perfect, but with hard work and determination anything can be achieved. 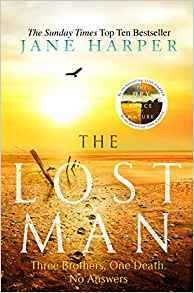 You have helped me to escape the real world when I needed it most and you have also re-ignited my love of reading when it was well and truly starting to wain. 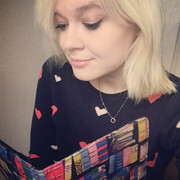 Knowing that I could lose myself in your world for an hour each day made all the difference and reminded me why you are my favourite-book-character-of-all-time-in-the-whole-history-of-book-characters-ever. You are my inspiration; you never give up, you don't take any crap and when someone doubts you, you get out there and show them the error of their ways. BIG STYLE. "I swallow hard, feeling sick with humiliation. For the first time, I’m realising how Luke Brandon sees me. How they all see me. I’m just the comedy turn, aren’t I? I’m the scatty girl who gets things wrong and makes people laugh. The girl who didn’t know SBG and Rutland Bank had merged. The girl no one would ever think of taking seriously." You're down-to-earth, warm, funny, relateable and you can rock a Denny and George scarf like no other. Thank you for making me smile and reminding me it's ok to mess up from time to time. It's your determination to succeed and how you recover from it that matters. She has a great flat, a fabulous wardrobe full of the season's must-haves, and a job telling other people how to manage their money. She spends her leisure time ... shopping. Retail therapy is the answer to all her problems. She knows she should stop, but she can't. She tries Cutting Back, she tries Making More Money. But neither seems to work. The letters from the bank are getting harder to ignore. Can Becky ever escape from this dreamworld, find true love, and regain the use of her credit card? The Secret Dreamworld of a Shopaholic... the perfect pick-me-up for when it's all hanging in the (bank) balance.